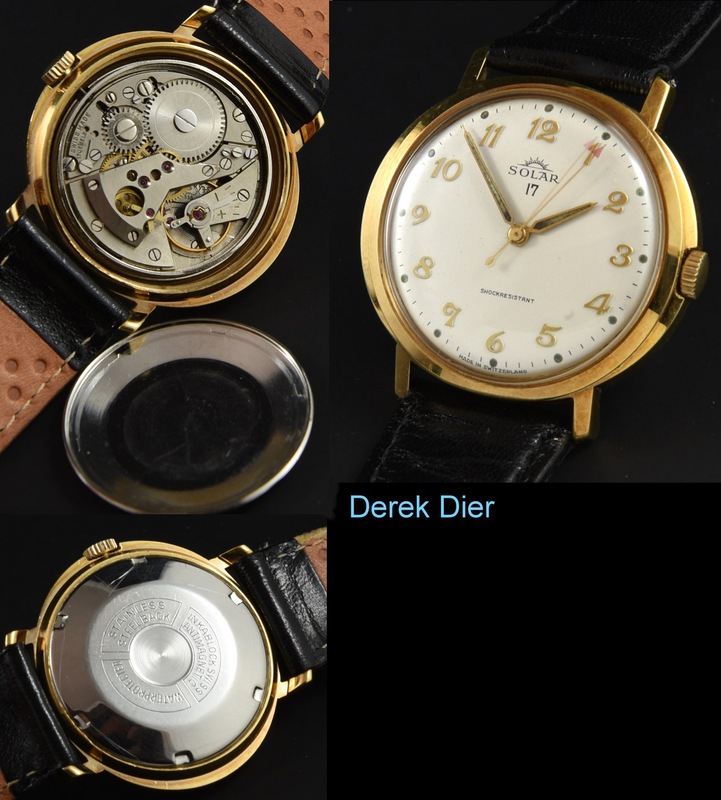 Home / Shop – Vintage Watches For Sale Used & Antique / Uncategorized / Solar 17 Deadbeat seconds-Very Uncommon. 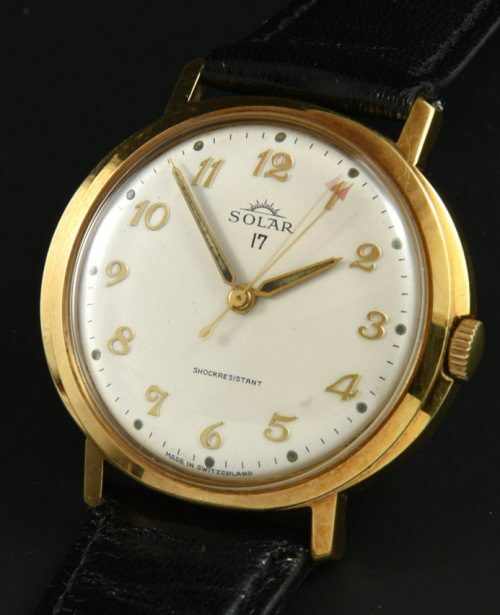 This 1960’s SOLAR vintage watch houses a rare deadbeat (jump) seconds movement (like the tru-beat ROLEX) and being a mechanical and manual winding movement that ticks ONE SECOND at a time. These are uncommon watches to find. The gold plated case with steel back measures 36mm. and is very clean. The movement was cleaned and accurate. The dial and hands are original. Collectors should have one of these! Just $695.